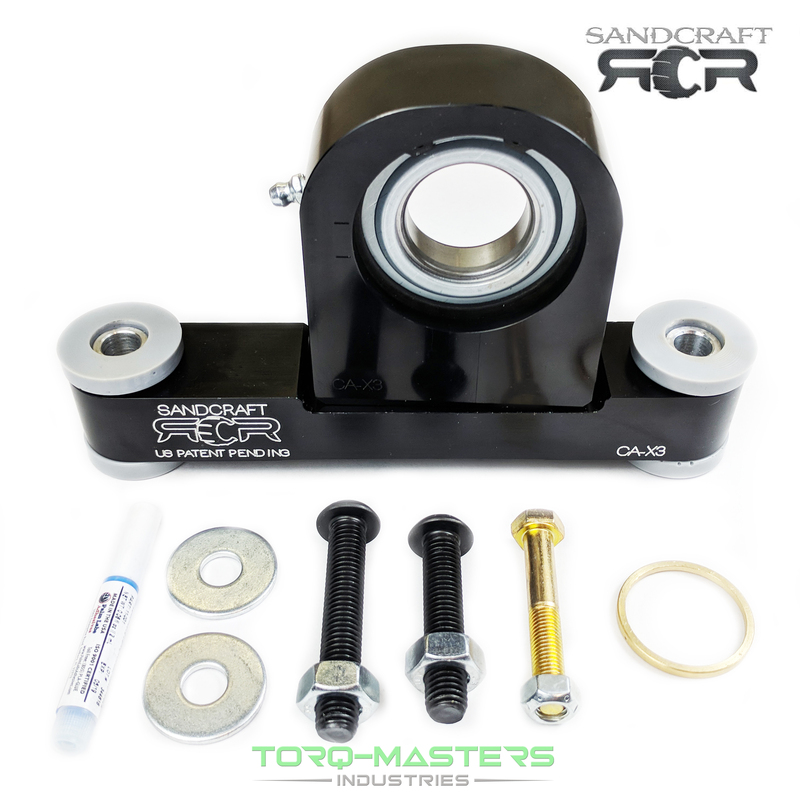 Sandcraft Motorsports builds the best GEN3 Can Am X3 carrier bearing on the market. The Sandcraft patented carrier bearing design is a drastic improvement from your stock bearing. The Sandcraft carrier bearing is greasable and has 3 layers of protection to keep dirt, sand, mud, and water out. Their auto set angle & two piece design lowers installation time dramatically. Auto set angle has never been easier. It allows you to press the bearing onto the shaft and install with minimal effort. Side loading the bearing leads to pre-mature wear and failure. The auto set angle eliminates this from happening to your Can-Am.